Tim Courtney photography Palm Springs, California recommends the best professional photography equipment. Here’s a fantastic opportunity to allow Hollywood Celebrity Photographer Tim Courtney get you into some professional photography gear that will help make you the success you want to be! To create great photography it is key to start with solid, dependable and highly professional photography equipment. After all, the camera you are about to purchase is going to be one of the biggest loves in your life. How to choose the best camera for you. Please ask yourself these questions to help you identify the best camera for you to purchase. 1. What are you most attracted to, what do you want to shoot? 2. Do you/will you have clients? What camera features best meet your goals or clients needs? 3. What are the top three most important features you must have with your camera, given you have answered the above questions. 4. Have you made your selection and ready to feel the passion of your camera and, have the best time of your life? I have some excellent recommendations below that I have put together to help you get what you want today. I have and have had many cameras through the years. For medium format my Mamiya 654, I primarily shoot with the Nikon D5 DSLR, and my older D2X. Why I use Nikon… I really appreciate Nikon’s mindfulness to its consumer. They keep it real user- friendly with the transitions of updated and improved features. I always feel that I can easily find my way around with each upgrade. As a pro-photographer who began shooting with film, I also loved how they made sure their new era of digital cameras could adapt with the lenses from our film cameras. Example: The newer AF (auto focus) lenses I used for my wonderful Nikon F100 35mm film camera are interchangeable with Nikon’s digital cameras. My first digital camera was a Nikon D2H. 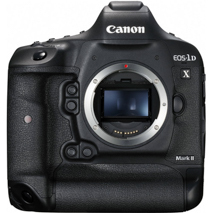 The canon EOS-1D X Mark II is Canon's equivalent to the Nikon D5. Though I do not shoot with Canon, I do have colleagues who are happy with it. Should you be fixed on working with Canon, here is your best choice. I asked my good friend and colleague (physique/athletic photographer of Kenyon Studios, Hollywood) Kenyon to give me his keen insight about the camera and lenses he favors to shoot with and why. I asked Kenyon, because I wanted to see if our experiences might be closely the same. We both choose Nikon cameras, and we are on spot with the lenses. 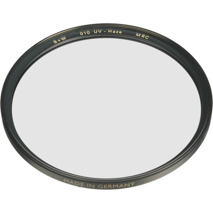 Depending on my goals in the photo session, there are a couple additional lenses I like to use as well. 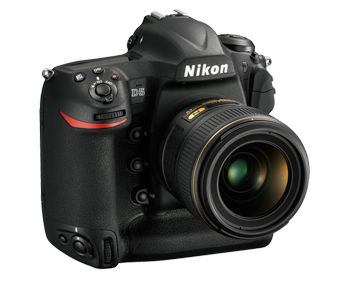 The Nikon D810 is my workhorse. At 36MP, and shooting in RAW, I get all the info I need for a great image and plenty of information for any post work I may want to do. My favorite lens is the 70-200mm 2.8. I love this lens...very little compression, amazing low light capability and insane sharpness throughout the zoom range. For "close-up" work my favorite is the 24-70mm 2.8. This lens allows me to get up close and personal and still get enough in my frame for a good shot. Sometimes on location, I am actually holding an off-camera flash or a soft-box when shooting my client and then the 24-70mm is a must. I tend to like lightweight and on trend bags for packing my gear so Peak Designs is my go-to BAG of choice for functionality & design! If you are attending one of Tim’s workshopS be sure to order this today!